With great trepidation, we got dressed this morning and began the seemingly long drive to the hospital. Brandon has been feeling SO great (thank God) that the now voluntary check-in at the transfusion clinic seems wrong. But it is needed, and we are both in for the full battle, so we march ahead. The day itself was not too bad. Brandon basically sits in a recliner and they use his chest IV to transfuse the chemo into his body. At the same time he receives antibiotics and other drugs. We were there today from 9-4:30 and this schedule continues for the week. I managed to check in with Brandon, head out to a work meeting, head back and work from the hospital. Tough but doable. I also managed to meet with the transplant coordinator. Her job is to search the International Registry to find Brandon a match. She explained the process and was very helpful. She also shared that she is "pretty confident" that she would find Brandon a match within a couple of months. I wish she was SURE, but right now pretty confident is pretty awesome! At about 4pm Brandon started to get nauseous and my heart dropped. I hate seeing him suffer. He has already suffered WAY too much. The 'good' news though is that it is now 9pm, and although he has been in bed since 6, he has not vomited yet - small miracles, small celebrations. So day 1 for my prince has been ok, and I pray that this witch is a lot weaker than her older sister. And I pray that my prince is just as victorious, because I know that he is just as brave and just as determined! Over the past 5-6 weeks my situation has become a little bit of a storyline for family, friends, new and old as well as rekindled relationships. I'm thrilled that it is raising SOME awareness for the disease and I hope to continue building that awareness once my life is back to normal. My situation is uncharted waters for me on a few levels, the obvious being my battle with Cancer and the other (what very few know about me), is that I'm very uncomfortable being the center of attention. With that being said, this is a blog that I wanted to make about YOU. Taly has mentioned this in her blogs in the past. But words can't express what everyone's support has meant to both my family and myself! Everyone has been incredible! You have all helped carry me through these tough times in my life. Generally speaking, I am only a cheeseball with my wife, but I love you all! You are amazing! I don't have a choice with the cards that have been dealt to me, they are what they are. All that I can do is stay positive and love every moment of life. But YOU do have a choice of how you respond to what I'm going through. You don't have to go out of your way, yet you continually do, and for that reason I say... thank you, thank you, thank you!!! Brandon is in remission, his spirits are up, he is feeling healthy and his appetite is ferocious - all are small (and at the same time enormous) miracles. 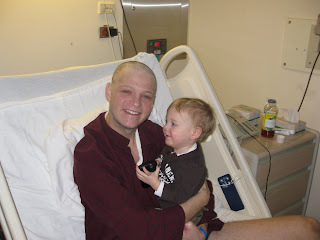 Brandon's spirit and courageous mindset is amazing - even to me (and I have known how amazing he is since date #1). Today is the final day before he starts round 2 of chemo. We do not know what tomorrow holds...nausea, vomiting, headaches, fever, mouth sores.....We can only pray that the side effects will be less vicious this time around. Last night my in-laws took the kids for a sleepover (thank you!) and Brandon and I went out on a date - dinner and a movie. We had a wonderful evening chatting, laughing, snuggling up together....This morning we woke up and went out for breakfast, did some grocery shopping and then met the family for a lunch. At this moment, Brandon is out with Dana for her first time skating (special daddy-Dana time). I am so proud to have him as my husband, as the father of our children. I am the luckiest person in the world because I have him by my side. And the Prince kissed the Princess and she smiled. And they believed that everything would be OK. because it has to be, because it should be, because they are meant to be. Bring on the transplant match!! It seems that as brave and valiant as my prince continues to be, there is a need to call on some of our friends for additional support in this battle against evil. It has been confirmed that Brandon NEEDS a stem cell transplant in order to remain in remission long term. Otherwise, the cancer will return within a year. The hospital has started a search for a donor, but unfortunately the database is still quite small and there is only a 60% chance that Brandon will find a match. The biggest misconception seems to be the process a donor must go through if they are a match. To donate stem cells there is actually no extraction of bone...it is like donating blood! We are working with several agencies to organize targeted initiatives. PLEASE STAY TUNED FOR UPCOMING DETAILS ABOUT DONATING!!! Thank you to all our soldiers (and heroes) out there! After taking Dana to school today Brandon and I headed to the hospital for his big appointment. Scheduled for 10:15, we finally went in at 2:30! The other number that they looked at today was blast cells. Blast cells are immature white blood cells that were the indication of leukemia. When Brandon was first diagnosed the number was 155. They would like to see the number at 0, but today it was at 0.1. Due to that number, they decided NOT to do the bone marrow test today. The Dr. was NOT concerned about the 0.1 because she said that could happen as the body corrects itself. At the same time, she does not want to check for remission because the lab will come back with "an indication of blast cells". So we are back next week for the test. Until then Brandon gets to stay home which is wonderful!! As per Dr's orders - he needs to fatten up before the next round of chemo. We have a few days together until the next round of chemo. On Weds we go in for a bone marrow test and pray for remission. For now we are home together, enjoying each moment. Great day today - hoping we are on a pattern. Brandon felt good and his numbers are great! Brandon is feeling good today. We also had some cuddle time which was selfishly amazing. 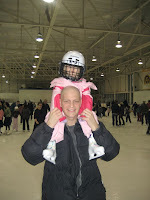 Unfortunately we did get some bad news today - Justin (Brandon's brother) is not a match for the bone marrow transplant. That would have been a great win. But in true Brandon spirit he is refusing to think negatively as we begin the search through the International Bank. Keeping our fingers crossed and the positive thoughts coming. 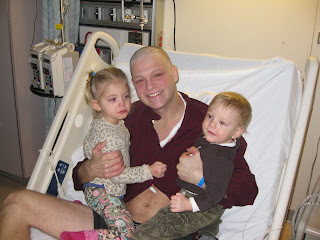 Plan is to bring the kids by tomorrow for a visit - quite excited as Brandon is feeling so much better than past visits. Hopes and spirits are high!!! He woke up feeling good - I even got a phone call in the morning to say hi! His brother went for a visit and they chatted away; he sat up in bed; he ate rice pudding, apple sauce, yogurt, macaroni and cheese (! ); he sat up in a wheel chair for about 1/2 an hour; and he walked around a bit (first time). I am so proud of him! Each of these things that he accomplished today (that we take for granted) is so difficult for him...each bite is a conscious decision, each step is a hurdle. But he did it!! Because the Dr said that he might be able to come home next week for a few days before the next round of chemo!!!!! "I want to be well enough to take Dana to school. So I am going to push myself so that when I get home I can do that." Could I love him any more than I do? Didn't think it was possible but my prince does not cease to amaze me! Platelets - 18 - went up on their own! His body is starting to produce again! WBC - 0.7 - went up as well! We know that the war is far from over, that there may be some setbacks as we move forward. But today I am celebrating a GREAT DAY....because these great days are what we wished for. Brandon had a rough night last night. Fever came back with nausea and vomiting. Tough mentally because we thought he was past this for now. Today they gave him gravol so now he is sleeping. Temp is back to normal so hopefully it was just a blip. At home, if things were not bad enough, our furnace went KAPUT last night. Out, done. It is now 9 degrees in the house!!! Thankfully Brandon's brother went into action and we should have a new furnace tomorrow. Thanks Justin! Honestly, did we really need this now?!!?!? In Brandon's hospital room, in the small twin-sized hospital bed, I lay down beside my love and put my head on his shoulder. He kissed my forehead and stroked my hair. He told me "I will beat this". We fell asleep together for about an hour - in each other's arms - as it should be. Aurora (aka Briar Rose aka Sleeping Beauty) is one of Dana's favorite Princess stories. We probably have 6 different versions of the story at home. In the story, the witch puts Aurora in a trance so that she pricks her finger on a spindle. She then falls into a deep sleep, and so do all the others in the palace...while they await her true love's kiss. On the days I see Brandon struggle I wish that we can somehow coordinate this magic. Let him sleep peacefully until the witch is defeated, and let me sleep until he awakes healthy and happy. I sit here in the hospital and watch him sleep. And once in a while a grin comes to his face. And it makes me smile. Because that is MY Brandon - smiling, happy, making the most of life. I love his sleepy grins and I can't wait for them to come in the waking hours. Brandon had a really tough night - vomiting and uncomfortable. Today he is tired and achy and mostly sleeping.